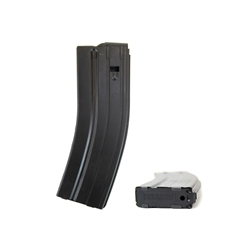 REC7 6.8 SPC magazine assembly, generation 2, 30 round capacity, steel. Due to meeting demand from the current sales promotion, not all magazines will be marked Barrett. Restrictions may apply. Check local laws before ordering.